At 10:30 am, HPCL was trading over 3 per cent lower at Rs 255.15 apiece on BSE while BPCL was down 1.66 per cent at Rs 352. Kotak Securities sees robust EBITDA of the OMCs in the fourth quarter of the financial year 2018-19 (FY19), aided by elevated auto fuel marketing margins and adventitious gains. 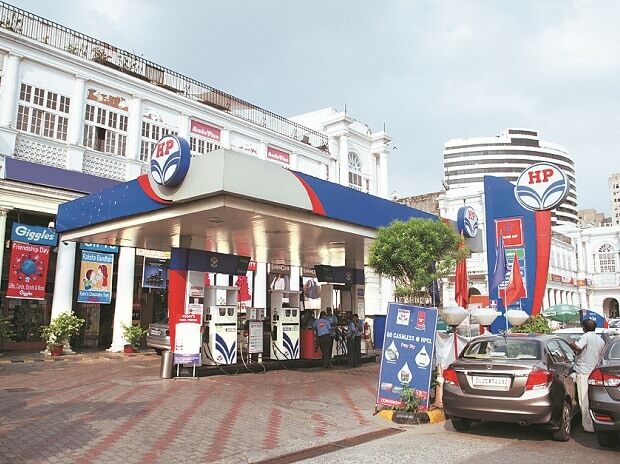 Shares of oil marketing companies (OMCs) such as Hindustan Petroleum (HPCL), Bharat Petroleum (BPCL) and Indian Oil (IOC) dropped up to 3 per cent in the morning trade on Monday as the international crude oil prices rose to their highest level since November 2018, owing to OPEC’s ongoing supply cuts, US sanctions against Iran and Venezuela, and strong US jobs data. At 10:30 am, HPCL was trading over 3 per cent lower at Rs 255.15 apiece on BSE while BPCL was down 1.66 per cent at Rs 352. Shares of IOC were trading over a per cent lower at Rs 156.45 apiece on BSE. In comparison, the benchmark index S&P BSE Sensex was trading flat at 38,858 level, down just 4 points or 0.01 per cent. International benchmark Brent futures were at $70.65 per barrel at 10:11 am on Monday, up 31 cents, or 0.4 per cent from their last close. US West Texas Intermediate (WTI) crude were up 31 cents, or 0.5 per cent, at $63.39 per barrel, Reuters reported. "We expect BPCL to report net income of Rs 38.9 billion, HPCL’s net income at Rs 30.3 billion and IOCL’s net income at Rs 76.2 billion, all up 8-12X qoq from a low base of the previous quarter, which was impacted by significant inventory and forex losses," it said. Analysts at Elara Capital expect the refining margin to improve QoQ on inventory gains.